Any prices may unexpectedly go up according to market prices (tuners, pickups, wood etc). 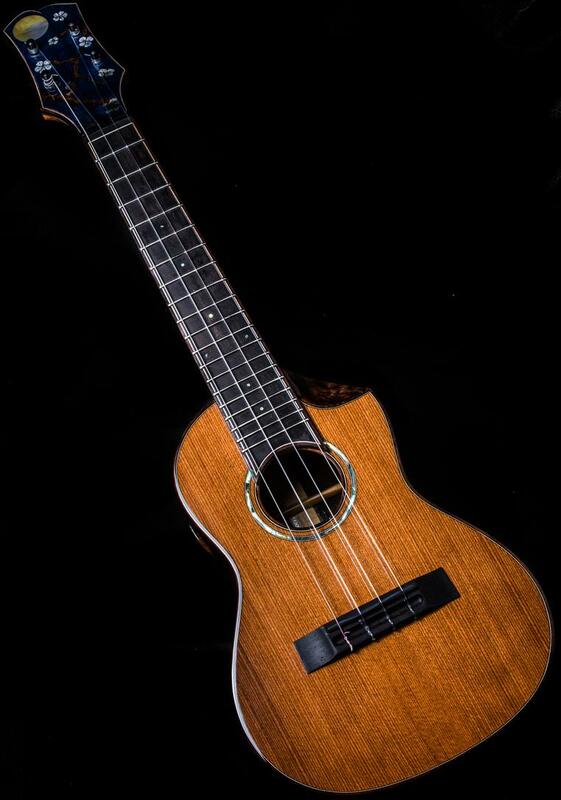 I sporadically change my prices (be it the base price or price of various options) according to the market.I offer only one level of craftsmanship on all of my instruments- uncompromising perfection of every element. All of my instruments possess master grade woods throughout, with every aspect meticulously bound in wood, framed in finely mitered purfling lines. With every hand built instrument only the stiffest, lightest tops are used with each being individually assessed, thicknessed, braced, carved and voiced for piano like responsiveness, a long sustain that is deep and clear in tone, and plays evenly over the entire fingerboard. Body, neck, fingerboard, headstock, rosette, soundhole, side soundport & end graft. 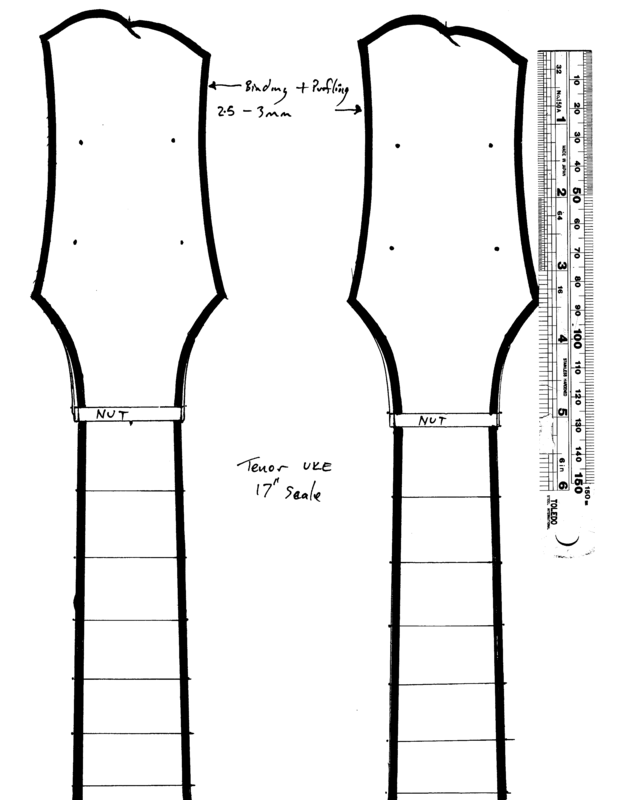 Upgrades such as Cutaway or arm bevels are also bound with purfling. Choice of: nut and saddle material, premium tuners, high gloss nitrocellulose finish and hard shell case. 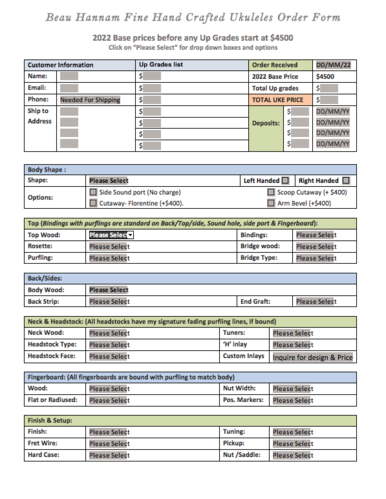 Below is my downloadable order form which has drop boxes for you to add your choices. To be used in conjunction with the Options section as well as discussing specific details one on one. Current wait time before I can start is around 18 months. ​Any prices may unexpectedly go up according to market prices (tuners, pickups, wood etc). I sporadically change my prices (be it the base price or price of various options) according to the market.